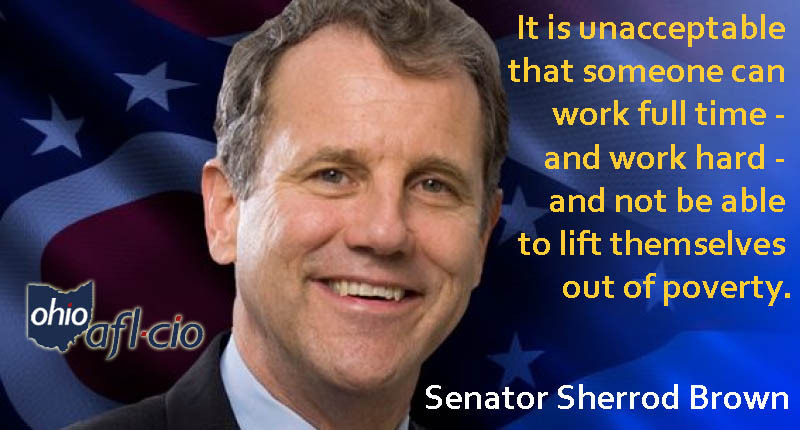 I love this idea promoted by the democratic US senator from Ohio, Sherrod Brown where he proposed passing financial penalties on corporations which manage to pay their employees so little that they qualify for government assistance programs like food stamps. While this will never pass, it serves to educate the public as to who are really responsible for working poor peoples being forced to depend on government assistance to survive. The rich are robbing the poor. He has revived the proposal this month, as House Republicans are trying to pass a farm bill that would impose stricter work requirements for the federal food stamps program. The estimated effect of the GOP’s bill is a $20 billion cut to food stamps over the next 10 years, with 1 million or more Americans seeing their benefits reduced or ended. Keith thinks the USA is already an oligarchy and I think we are on the road. Thanks a million times over for your support and for the reblog. That only makes sense. The USA is a consumer driven society. If the middle class was more well off, they would be in a position to demand more products which would spur our economy. The republicans have fought tooth and nail to fight union labor, and it is up to democrats to openly support them. Companies seemed to include the middle class in the share of its spoils from about 1950- 1970. This has changed. Great post, Gronda. Ed Broadbent was the leader of Canada’s federal NDP – New Democratic Party (ideologically close to your Progressives) during the Pierre Trudeau era. He spoke often about this very problem and coined a name for the corporate execs that always had their filthy fingers in the public purse: CORPORATE WELFARE BUMS. I love the Democratic House bill that would punish employers whose employees were forced to apply for government assistance. I love this creative bill. It lets the voters know that someone is fighting on their behalf. The recent tax cuts bill was a gift to the rich which we could ill afford. The democrats have to give the voters something to vote for and being against President Trump isn’t enough. In the USA, there are too many CORPORATE WELFARE BUMS. You make too much sense. We here in the USA are part of a consumer driven economy. It stands to reason that the middle class/ poor are much more likely to spend any windfalls than the wealthy and corporations, and so there should be more of a focus on bolstering the middle class/ poor folks. It’s all so very simple isn’t it Gronda?